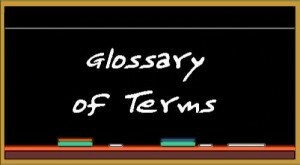 In an effort to help students and their families better navigate the financial aspect of their college experience, CheapScholar.org is pleased to provide the following glossary of common college money terms that may be encountered. Although this list is fairly comprehensive, please don’t hesitate to send us any terms that you think should be included. Ability-to-Benefit: One of the criteria used to establish student eligibility in order to receive Title IV program assistance is that a student must have earned a high school diploma or its equivalent. Students who are not high school graduates (or who have not earned a General Education Development (GED) Certificate*) can demonstrate that they have the “ability to benefit” from the education or training being offered by passing an approved ability-to-benefit (ATB) test. Academic Year: A period of time schools use to measure a quantity of study. For example, a school’s academic year may consist of a fall and spring semester during which a full-time undergraduate student must complete 24 semester hours. Academic years vary from school to school and even from educational program to educational program at the same school. Accreditation: The school must have accreditation from an accrediting body recognized by the U.S. Department of Education to be eligible to participate in the administration of federal student aid programs. Accreditation means that the school meets certain minimum academic standards, as defined by the accrediting body. Accrued Interest: The process where interest accumulates on a loan. When “interest accrues on a loan,” the interest due on the loan is accumulating. Agreement to Serve: An agreement under which a student receiving a TEACH Grant commits to the specific obligation to teach for four complete years in a designated high-need field at a low-income elementary or secondary school within eight years of completing or ceasing enrollment in a TEACH Grant-eligible program. Award Letter: An award letter from a school states the type and amount of financial aid the school is willing to provide the student accepts admission and registers to take classes at that school. Award Year: The period beginning July 1st and ending June 30th of following year during which a student receives financial aid. Borrower: Individual who signed and agreed to the terms in the promissory note and is responsible for repaying a loan. Capitalized: With certain loans, such as subsidized FFEL Loans, the U.S. Department of Education pays the interest that accrues on these loans while the student is enrolled at least half-time and during periods of deferment. However, with subsidized loans in forbearance, unsubsidized loans or PLUS Loans, the student or the student’s parents and graduate or professional degree students are responsible for paying interest as it accrues on these loans. When the interest is not paid, it is capitalized or added to the principal balance, which increases the outstanding principal amount due on this loan. Interest that is capitalized and, therefore, added to the original amount of the loan subsequently accrues interest, adding an additional expense to the loan. Central Processing System (CPS): The computer system that receives the student’s need analysis data from the FAFSA processor. The CPS performs database matches, calculates the official Expected Family Contribution (EFC) and sends out the Student Aid Report (SAR). College Scholarship Service (CSS): This needs analysis service is responsible for the Profile Form used primarily by select private colleges and administered by the College Board. This service, located in Princeton, New Jersey, is also responsible for administering the SAT scholastic exam. College Work Study (CWS): Funded by the federal government, CWS is a program designed to provide college monies to students through employment in exchange for services to the university, state or other agency. Cost of Attendance (COA): The total amount it will cost you to go to school—usually expressed as a yearly figure. It’s determined using rules established by law. The COA includes tuition and fees; on-campus room and board (or a housing and food allowance for off-campus students); and allowances for books, supplies, transportation, loan fees, and, if applicable, dependent care. It also includes miscellaneous and personal expenses, including an allowance for the rental or purchase of a personal computer. Costs related to a disability are also covered. The COA includes reasonable costs for eligible study-abroad programs as well. For students attending less than half-time, the COA includes tuition and fees and an allowance for books, supplies, transportation and dependent care expenses; but can also include room and board for up to three semesters or the equivalent at the institution, but no more than two of those semesters or the equivalent may be consecutive. Talk to the financial aid administrator at the school you’re planning to attend if you have any unusual expenses that might affect your cost of attendance. Co-Signer: A person who signs the promissory note, in addition to the borrowers, and is equally responsible for the debt. Federal student loans do not require a co-signer, but many private/alternative loans do. Consolidation Loan: also called Loan Consolidation, combines several student or parent loans into one bigger loan from a single lender, which is then used to pay off the balances on the other loans. Consolidation loans are available for most federal loans, including FFELP (Stafford, PLUS and SLS), FISL, Perkins, Health Professional Student Loans, NSL, HEAL, Guaranteed Student Loans and Direct loans. Consolidation loans often reduce the size of the monthly payment by extending the term of the loan beyond the 10-year repayment plan that is standard with federal loans. Credit Scoring: A method, based on statistical analysis of applicant characteristics, through which lenders determine the applicant’s qualification for credit. Creditworthy: An individual with no negative credit history per the criteria established by the lender. Custodial Parent: The parent with whom the dependent student lives, and whose financial information is used in the need analysis when parents are divorced or separated. Default: Failure to repay a loan according to the terms agreed to when you signed a promissory note. For the FFEL and Direct Loan programs, default is more specific—it occurs if you fail to make a payment for 270 days if you repay monthly (or 330 days if your payments are due less frequently). The consequences of default are severe. Your school, the lender or agency that holds your loan, the state and the federal government may all take action to recover the money, including notifying national credit bureaus of your default. This may affect your credit rating for as long as seven years. For example, you might find it difficult to borrow money from a bank to buy a car or a house. In addition, the Internal Revenue Service can withhold your U.S. individual income tax refund and apply it to the amount you owe, or the agency holding your loan might ask your employer to deduct payments from your paycheck. Also, you may be liable for loan collection expenses. If you return to school, you’re not entitled to receive additional federal student financial aid. Legal action also might be taken against you. In many cases, default* can be avoided by submitting a request for a deferment, forbearance, discharge or cancellation and by providing the required documentation. Deferment: A period during which a borrower, who meets certain criteria, may suspend loan payments. For some loans the federal government pays the interest during a deferment. On others, the interest accrues and is capitalized, and the borrower is responsible for paying it. Delinquency: Occurs due to failure to make monthly loan payments when due. Delinquency begins with the first missed payment. Dependent student: A student who does not meet any of the criteria for an independent student. An independent student one of the following: at least 24 years old, married, a graduate or professional student, a veteran, a member of the armed forces, an orphan, a ward of the court, or someone with legal dependents other than a spouse. Direct Loan: William D. Ford Federal Direct Loan (Direct Loan) Program. Loans made through this program are referred to as Direct Loans. Eligible students and parents borrow directly from the U.S. Department of Education at participating schools. Direct Loans include subsidized and unsubsidized, Direct PLUS Loans, and Direct Consolidation Loans. You repay these loans directly to the U.S. Department of Education. ED: U.S. Department of Education, the federal agency that administers federal financial assistance to students enrolled in postsecondary educational programs. Education Savings Account (ESA): Also known as the Coverdell Education Savings Account and is a type of trust account created to assist families in funding educational expenses for their children 18 years or younger. The annual contribution limit is $2,000 (as of 2008) based upon qualifying income limits. Anyone can establish a Coverdell for a child/beneficiary and there can be multiple savings accounts for a specified child/beneficiary. However, the $2,000 contribution limit must be maintained for each child regardless of the number of savings accounts. Through electronic means rather than a paper based transaction, such as a check. Also, persons with G series visas (pertaining to international organizations) are not eligible. For more information about other types of visas that are not acceptable, check with your school’s financial aid office. Citizens and eligible noncitizens may receive loans from the FFEL Program at participating foreign schools. Citizens of the Federated States of Micronesia, the Republic of the Marshall Islands, and the Republic of Palau are eligible only for Federal Pell Grants, Federal Supplemental Educational Opportunity Grants, or Federal Work-Study. 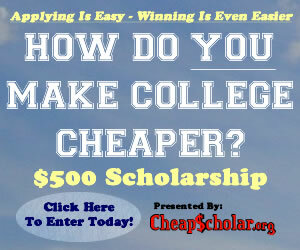 These applicants should check with their schools’ financial aid offices for more information. If a school has told you that you must take certain course work to qualify for admission into one of its eligible programs, you can get a Federal Direct Loan for up to 12 consecutive months while you’re completing that preparatory course work. You must be enrolled at least half time*, and you must meet the usual student aid eligibility requirements. If you’re enrolled at least half time in a program to obtain a professional credential or certification required by a state for employment as an elementary or secondary school teacher, you can get Federal Work-Study, a Federal Perkins Loan, a Federal Direct Loan, or your parents can get a PLUS Loan, while you’re enrolled in that program. Expected Family Contribution: Your Expected Family Contribution (EFC) is the number that’s used to determine your eligibility for federal student financial aid. This number results from the financial information you provided in your FAFSA application. Your EFC is reported to you on your Student Aid Report (SAR). Federal Methodology: the formula used by the U.S. Department of Education to determine the amount of money (EFC) a student’s family can reasonably be expected to contribute to the student’s cost of attendance. FERPA: Family Education Rights & Privacy Act is a Federal law that protects the privacy of student education records. The law applies to all schools that receive funds under an applicable program of the U.S. Department of Education. FERPA gives parents certain rights with respect to their children’s education records. These rights transfer to the student when he or she reaches the age of 18 or attends a school beyond the high school level. FSEOG: Federal Supplemental Educational Opportunity Grant is a federal need-based grant for undergraduates with exceptional financial need, that is, students with the lowest EFCs, priority is given to students who receive Federal Pell Grants. An FSEOG doesn’t have to be paid back. Financial Aid Administrator (FAA): An individual who works at a college or career school and is responsible for preparing and communicating information on student loans, grants or scholarships and employment programs. The FAA and staff help students apply for and receive student aid. The FAA is also capable of analyzing student needs and making professional judgment changes when necessary. Financial Aid Package: The total amount of financial aid (federal and non-federal) a student is offered by the school. The financial aid administrator at a post-secondary institution combines various forms of aid into a “package” to help meet a student’s education costs. Using available resources to give each student the best possible package of aid is one of the aid administrator’s major responsibilities. Because funds are often limited, an aid package might fall short of the amount a student needs to cover the full cost of attendance. Also, the amount of federal student aid in a package is affected by other sources of aid received (scholarships, state aid, etc.). Financial Aid Form Acknowledgement (FAFACK): This acknowledgement is mailed to the student to inform him or her that the CSS has processed the Profile on the student’s behalf. Mailed separately from the Student Aid Report (SAR), this also provides a list of the colleges in which the SAR was sent and which institutions require additional information. Financial Aid Form Need Analysis Report (FAFNAR): This profile report is electronically transmitted by CSS to the college. Financial Need: The difference between the cost of attendance (COA) at a college and the Expected Family Contribution (EFC). Forbearance: Temporary cessation of regularly scheduled payments or temporarily permitting smaller payments than were originally scheduled. Free Application for Federal Student Aid (FAFSA): Administered by the Central Processing System (CPS), this is the official financial aid form used to capture each parent’s and student’s asset and income information for use in determining the EFC via the Federal Methodology (FM). FWS: Federal Work-Study Program provides jobs for undergraduate and graduate students with financial need to earn money to help pay education expenses. GED: General Education Development (certificate): this is a certificate that students receive if they have passed a specific, approved high school equivalency test. GED recipients are eligible to receive federal student aid. Grace period: After borrowers graduate, leave school, or drop below half-time enrollment, loans that were made for that period of study have several months before payments are due. This period is called the “grace period.” During the grace period, no interest accrues on subsidized loans. Interest accrues on unsubsidized loans during grace periods, and this interest is capitalized when borrowers’ loans enter repayment. Grants: A grant, offered with or without a service requirement, is a monetary award that does not require repayment. Half-time: At schools measuring progress in credit hours and semesters, trimesters, or quarters, “half-time” is at least six semester hours or quarter hours per term for an undergraduate program. At schools measuring progress by credit hours but not using semesters, trimesters or quarters, “half-time” is at least 12 semester hours or 18 quarter hours per year. At schools measuring progress by clock hours, “half-time” is at least 12 hours per week. Note that schools may choose to set higher minimums than these. You must be attending school at least half-time to be eligible for a Stafford Loan. Half-time enrollment is not a requirement to receive aid from the Federal Pell Grant, Federal Supplemental Educational Opportunity Grant, Federal Work-Study and Federal Perkins Loan programs. Independent Student: An independent student is one of the following: at least 24 years old, married, a graduate or professional student, a veteran, a member of the armed forces, an orphan, a ward of the court, or someone with legal dependents other than a spouse. Institutional Methodology: A need analysis formula developed and maintained by the College Board to assist colleges, universities, and private scholarship programs in determining eligibility for institutional and private financial aid funds. Schools that employ IM in awarding institutional dollars require completion of the CSS Profile. Interest: A loan expense charged by the lender and paid by the borrower for the use of borrowed money. The expense is calculated as a percentage of the unpaid principal amount (loan amount) borrowed. Loans: This monetary award must be repaid. The federal government may or may not subsidize a student loan. Merit-Based Aid: This includes financial awards to a student based primarily on special talents he or she exhibits such as above-average academic achievement, art, music or athletic aptitude. National Student Loan Data System (NSLDS): NSLDS is our database for federal student financial aid where you can find out about the aid you’ve received. If you’ve only just applied for aid, you won’t find any information on NSLDS yet. NSLDS receives data from schools, guaranty agencies and U.S. Department of Education programs. 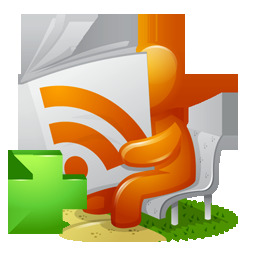 The NSLDS Web site is generally available 24 hours a day, seven days a week. By using your PIN, you can get information on federal loan and Pell Grant amounts, outstanding balances, the status of your loans and disbursements made. You can access NSLDS at www.nslds.ed.gov. Need Analysis: The process of analyzing a student´s financial need, known as need analysis, focuses on determining how much the family reasonably can be expected to contribute towards the student´s education. Traditionally, determination of an applicant´s need is achieved by collecting information about the family´s income, assets, and living expenses. For the federal student aid programs, the law specifies a need analysis formula that produces the Expected Family Contribution (EFC). The EFC and the college´s cost of attendance are used by the post-secondary school to establish the student´s need as well as to award grants, campus-based aid, and subsidized loans. The college might ask you to complete other paperwork to determine your need for non-federal aid. Need-Based Aid: This includes financial aid awards based solely on a student’s and family’s monetary need. Most aid granted to the student by federal, state and respective institutions is needs based. Outside Scholarships: Educational funding not provided directly by or through the college or university that you plan on attending. The main source of these scholarships are through private foundations or organizations and it is estimated that billions of dollars of outside scholarships are awarded each year. Principle: The original amount of money borrowed by the student. Interest is charged on this amount. Profile: (CSS/Financial Aid Profile); A customized financial aid application form required by certain colleges and scholarship programs, which collects additional financial information to determine eligibility for institutional aid. Promissory Note: A promissory note is a binding legal document you sign when you get a student loan. It lists the conditions under which you’re borrowing and the terms under which you agree to pay back the loan. It will include information on how interest is calculated and what deferment and cancellation provisions are available to the borrower. It’s very important to read and save this document because you’ll need to refer to it later when you begin repaying your loan or at other times when you need information about provisions of the loan, such as deferments or forbearance. 1. Pre-Paid Tuition Plans: where you are pre-paying for college tuition, fees, books, and if you are at least a half- time student, room and board expense. Future increases in Tuition expense relative to the year in which contributions are made are covered. 2. 529 Plans (College Savings Plan): your money is placed in varying investment portfolios and rise and fall with the market. Regular Student: A regular student is one who is enrolled or accepted for enrollment at an institution for the purpose of obtaining a degree, certificate or other recognized education credential offered by that institution. Generally, to receive federal student financial aid from the programs discussed in this guide, you must be a regular student. There are exceptions to this requirement for some programs. Sallie Mae: Sallie Mae is the nation’s leading provider of saving, planning and paying for education programs. Since its founding more than 35 years ago, the company has invested in more than 31 million people to help them realize their dreams of higher education. Through its subsidiaries, the company manages $188 billion in education loans and serves 10 million student and parent customers. Satisfactory Academic Progress: To be eligible to receive federal student financial aid, you must meet and maintain your school’s standards of satisfactory academic progress toward a degree or certificate offered by that institution. Check with your school to find out its standards. Scholarships: This monetary award is generally provided to students based on merit, talent, academic concentration, ethnicity or other unique qualifying attribute. Scholarships may or may not be taxed. Servicer: Organization that administers and collects loan payments. May be either the loan holder or a third party agent acting on behalf of the holder. Student Aid Report: Your Student Aid Report (SAR) summarizes the information you submit on your Free Application for Federal Student Aid (FAFSA) and provides you with your Expected Family Contribution (EFC). After you apply for federal student financial aid, you’ll get your FAFSA results in an e-mail report by the next business day after your FAFSA has been processed or by mail within 7-10 days. This report is called a Student Aid Report or SAR. Your SAR details all the information you provided on your FAFSA. If there are no corrections or additional information you must provide, the SAR will contain your Expected Family Contribution (EFC), which is the number that’s used to determine your eligibility for federal student aid. Whether you applied online or by paper, we will automatically send your data electronically to the schools you listed on your FAFSA. Subsidized: A loan for which a borrower is not responsible for the interest while in an in-school, grace, or deferment status. Subsidized loans include Direct Subsidized, Direct Subsidized Consolidation Loans, Federal Subsidized Stafford Loans and Federal Subsidized Consolidation Loans. Tuition Increases: Method adopted by Universities and Colleges in which the cost of education is increased by a specific percentage each year to cover the cost of inflation in addition to any other extraordinary operating expenses that the school may be absorbing. Tuition Payment Plans: A payment option provided by Colleges and Universities that allows families to spread the cost of education over the entire academic year. Unmet Need: This is the difference between the student’s total financial aid award and his or her official calculated need. Unsubsidized: A loan for which the borrower is fully responsible for paying the interest regardless of the loan status. Interest on unsubsidized loans accrues from the date of disbursement and continues throughout the life of the loan. Unsubsidized loans include: Direct Unsubsidized Loans, Direct PLUS Loans, Direct Unsubsidized Consolidation Loans, and Federal Unsubsidized Stafford Loans, Federal PLUS Loans, and Federal Unsubsidized Consolidation Loans. Verification: Verification is a process where your school confirms the data reported on your FAFSA. Your school has the authority to contact you for documentation that supports income and other information that you reported. Yellow Ribbon Program: This Post-9/11 GI Bill will pay your tuition based upon the highest in-state tuition charged by a public educational institution in the state where the school is located. The amount of support that an individual may qualify for depends on where they live and what type of degree they are pursuing. This is a great resource for a first year college student to a super senior. I know that when I first got my financial aid letters it was a little confusing, especially when it comes to loan information. I will definitely bookmark this and send it the way of anyone who is having financial aid questions. Thank you Renee! I appreciate it.